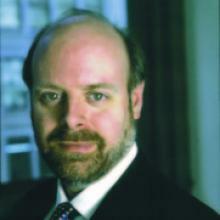 Dirk Olin is the editor and publisher of Corporate Responsibility Magazine. Formerly the director of the Institute for Judicial Studies and the national editor of The American Lawyer magazine, Olin has written for The New York Times op-ed pages and The New York Times Magazine, The New Republic, and Slate, among others. He is a fellow with the Institute for the Advancement of the American Legal System, a former visiting scholar at UC Berkeley’s Institute of Governmental Studies, and a recipient of the National Education Writer’s award. He has also been featured frequently on television and radio broadcasts. Currently board president of the International Debate Education Association, Olin has a master’s degree from Northwestern Journalism School and a bachelor’s degree from Dartmouth College. He lives in Maplewood, New Jersey, with his wife and their two daughters.